Trump’s comments highlight a trend among all those in power and their two-faced relationships with this media outlet. When WikiLeaks is exposing their political rivals, they are the darling organization who deserves protection for journalism. However, when WikiLeaks—who toes no party line—exposes corruption within their party, calls for Assange’s assassination fill the news cycle. 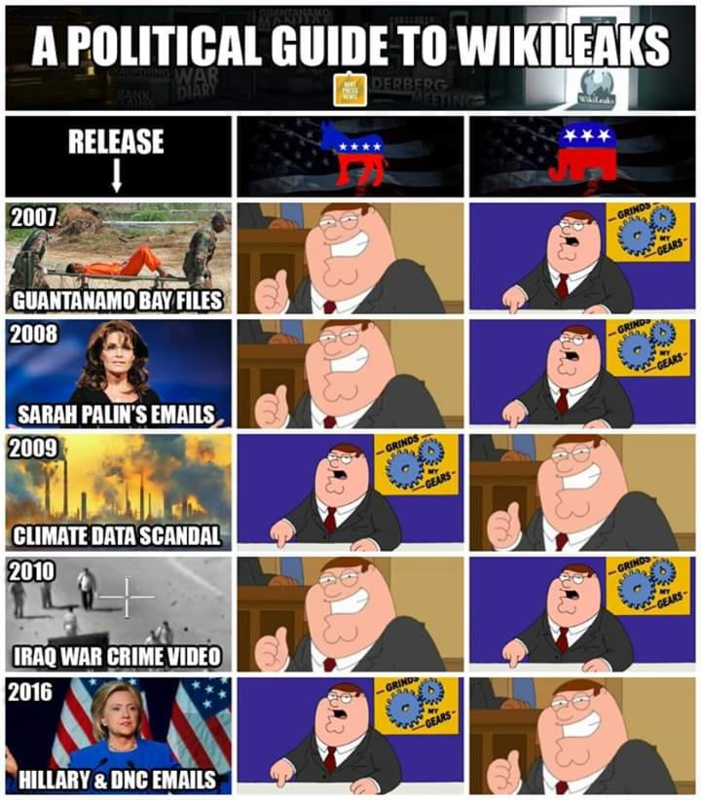 During the 2016 elections, Trump frequently praised WikiLeaks for exposing his political rival, even declaring “I love WikiLeaks!” However, once he became part of the establishment, WikiLeaks was now his enemy and therefore he must distance himself. Despite Trump decrying “Fake News” on a regular basis, his administration is prosecuting the only major outlet in the world who has never had to issue a retraction—because they’ve been 100% correct. This is a hypocrisy which WikiLeaks themselves took to calling out recently. 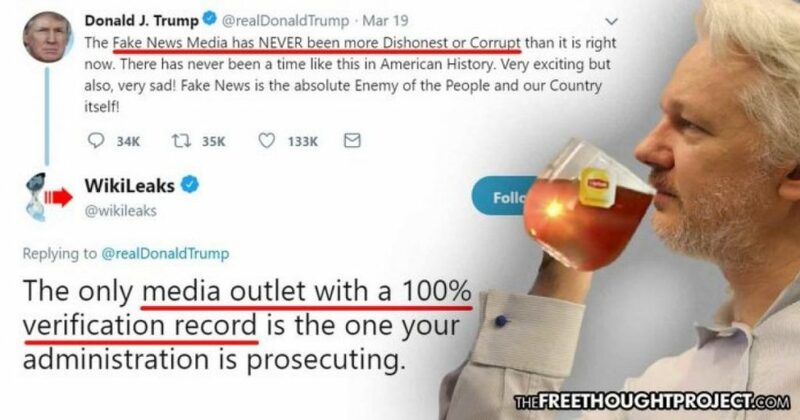 “The only media outlet with a 100% verification record is the one your administration is prosecuting,” wrote WikiLeaks last month. You can be absolutely certain that this charge is bogus because it isn’t based on any new information. The facts of the case have not changed, the information hasn’t changed, only the narrative has changed. In 2010 the United States opened a secret grand jury in Virginia to investigate whether Assange and WikiLeaks could be prosecuted for the publication of the Manning leaks, and then-Attorney General Eric Holder announced that the Obama administration was conducting “an active, ongoing criminal investigation’’ into the matter. The Trump administration has not turned up any new evidence that the Obama administration was unable to find in this active, ongoing criminal investigation (US government surveillance has surely acquired some new tricks since 2010, but time travel isn’t one of them), and indeed it does not claim to have turned up any new evidence. What this move by the United States and the United Kingdom actually represents is a threat to those who dare to challenge the status quo and expose the corruption of the system. Even congresswoman Tulsi Gabbard sees this and was unafraid of calling it out on several national television outlets on Thursday. Americans will do well to heed Assange’s advice and resist this move to persecute journalism. For if we let one honest journalist go down, we let them all go down. First they came for WikiLeaks…. Contributed by Matt Agorist of The Free Thought Project. Copyright © America Uncensored All rights reserved.